IT IS not possible to cover the Sun with a sieve. 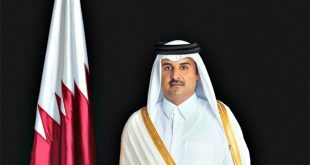 The Qatari leadership should understand this fact as it keeps on procrastinating and prolonging the crisis by depending on feeble arguments; such as, the demands made by four countries (Bahrain, Saudi Arabia, United Arab Emirates and Egypt) are considered interference in the internal affairs and sovereignty of Qatar. In reality, the demands are based on documented facts and cogent evidence of Qatar’s interference in the internal affairs of not only the four countries, but also the movement witnessed in Kuwait about four years ago. Furthermore, there are thousands of communications linking Doha with the terrorist group’s headquarters in Syria, Iraq, Libya, Yemen and Egypt; after the bloody fall of Mohammad Morsi during the June 30 revolution, when Qatar, through the Muslim Brotherhood Group engaged in destabilizing Egypt’s security and transmitting the cancer of terrorism to it. The four countries’ demands are aimed at protecting their internal security, given that the interference of Qatar is no longer a secret in terms of supporting terrorist groups in Bahrain and the eastern part of Saudi Arabia. This is in addition to its conspiracies against the United Arab Emirates, let alone the fact that it opened the horizon for ‘Al-Jazeera’ satellite channel to incite members of the Gulf Cooperation Council (GCC) and Egypt. How could Qatar permit itself to interfere in the affairs of all these countries on one hand; and on the other hand, prohibit its supposedly friend countries to face the harm caused by cheap politics? The entire international arena, starting with the UN Security Council up to the regional organizations, in addition to major countries, are all insisting that Qatar should stop supporting terrorism. This has been conveyed to the Qatari officials, both directly and indirectly. The Qatari leadership, which has been taken by the illusion of challenging by following the concept ‘dissent and you will be known’, has yet to be convinced that betting on Iran is not more than a phantom. The agreements announced daily, or the visit of its minister of culture to the grave of Khomeini, are not less than exposed provocation of GCC nations. In fact, it is provocation of the entire Arab world which is suffering from bloodshed induced by Iran from the Atlantic Sea to the Arabian Gulf. In addition, to seek military help from Turkey in order to create artificial security will never be beneficial and will never protect the regime from any move or populace revolution once the people of Qatar see the facts that billions of dollars are being squandered to fund terrorist groups and sow hostility between people of the Gulf region. 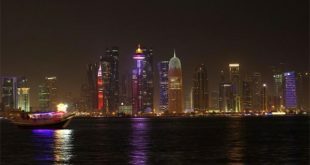 The leadership in Doha should face the reality, no matter how bitter it is. They should refrain from deceiving citizens that the severance of relations, or better put, the sanction will have no effect. Here are the reactors being exposed, either through banking transactions with riyals or big companies that have been abandoning uncompleted and pending 2022 Mundial projects. 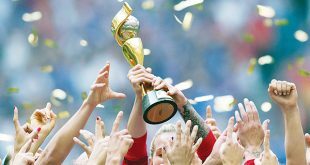 This is a massive catastrophe that will affect Qatar which procrastinated too much in implementing agreements with the Fédération Internationale de Football Association (FIFA), especially in areas related to being a good neighbor to Saudi Arabia and Bahrain, as well as building a bridge to link Manama with Doha. 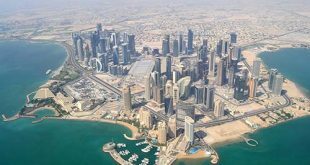 However, it appears that lack of fulfilling agreements has become the hallmark of Qatar, not only in its relationship with the Arabs but the entire world as well. The ultimatum given to Doha would have opened a scope for solution if it only realized initially that it will not benefit from any form of aggravation. It has no alternative but seize the opportunity to repent from sins of the past, because it has blindfolded itself with bad policies. It would have maintained membership of the Gulf House considering the whole world unanimously agree on the latter’s steadfastness and unity that has greater benefit for the relationship of the international community with the region. What does it gain by maintaining such a position? 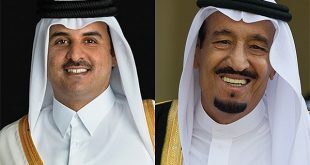 Do Qatari leaders believe that interference in Somalia, Yemen, Libya, Iraq and Syria which it has destroyed will enable it to impose its preferred system of governance on these countries? Did it not learn from lessons of the past six years when it brought destruction and isolation to itself? Is it ‘Nero politics’ whose people saw conflagration and destruction in sisterly and friendly countries while they appeared to be saying, “I am after the flood!”?